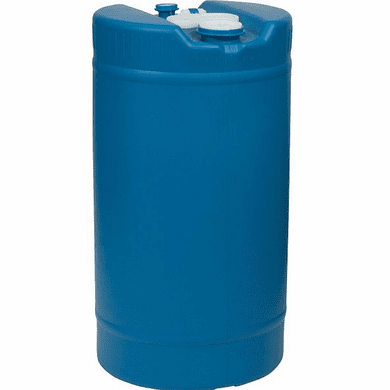 New 15 Gallon Blue Plastic Water Barrels are perfect for your Liquid Needs. The (High-Density Polyethylene) Plastic Barrel has a durable handle to help you lift the drum and move it where you need. Can be Used for all Types of Liquids. Get these Fresh Water Barrels for All Purpose Use. 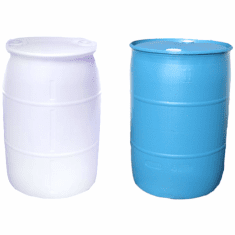 Chemical Resistant and Sturdy, these plastic barrels are good for most industrial or household needs. This is The Perfect water storage Solution. Has a convenient carry handle on top for easy transport. The Handle folds down for stacking convenience. 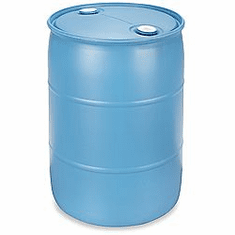 This 15 Gallon Blue Water Barrel Drum is optimally drainable (you can pour out a liquid to almost the last drop when the drum is tipped at an angle). It also Complies with FDA regulations for food and drugs Material. The color of the Barrel helps to stop light penetration which greatly hinders algae growth in The Container. The Water Barrel is made of very durable HDPE which has a high-density ratio to strengthen the barrel walls. 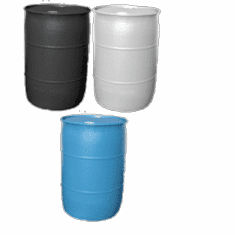 These Water Barrels Can also be used for flotation, chemical storage, oil storage and Trash storage. 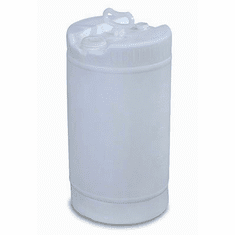 These Plastic Water Barrels are perfect for water storage and are the Best Value on the Internet. Great for a fresh water barrel use as a Rain Barrel. 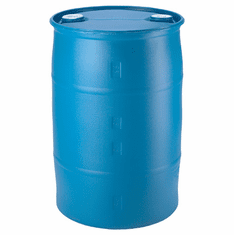 All New Water Barrels are available in 15 gal, 30 gal, and 55 gal sizes. Dimensions: 14" X 14" X 26"
Dimensions: "14 X 14" X 26"